GCCN welcomes the prospect of a new planning framework for Ireland. We particularly welcome the holistic view that is being pursued by Ireland 2040. We believe that Ireland should be building and supporting sustainable communities where there is an emphasis on the quality of life for people of all ages, abilities and ethnicities living in those communities. 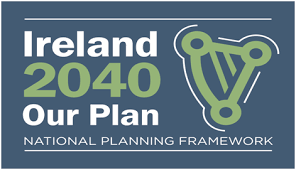 The decision to make a submission to the Ireland 2040 is led by the Environmental Linkage Group and is informed by the experience and expertise of the other sectors that encompass concerns to ensure social inclusion and equality; quality housing and accommodation; arts and culture, particularly the right to participate, create and express culture; planning and transport.